Rosebud is named in honour of the Shumack family who brought it from Ginninderra Village to their selection, Rosebud. Living Room - a kitchen/living area with leather Moran lounge, reverse cycle airconditioner, real flame gas fire, full galley kitchen, breakfast bar, LCD TV and Foxtel and DVD player. Bathroom/laundry: a modern separate bathroom/wetroom with lovely large shower rose. There is also an additional small laundry with Bosch front-loading washing machine. 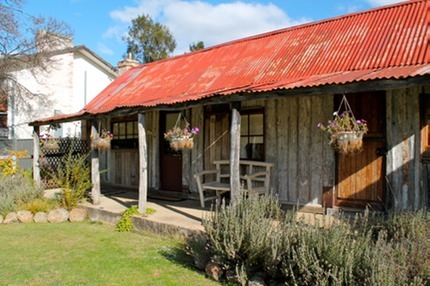 Rosebud and Bell’s Cottages are set on a family sheep and cattle farm - one of the last in the ACT - yet face a suburban street in Cook, inner Belconnen, only 8km from Canberra City. 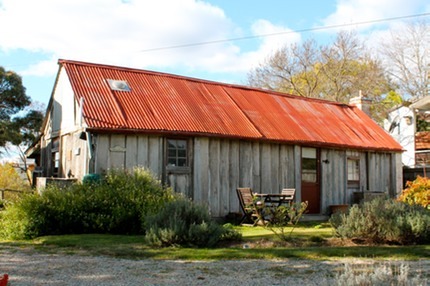 Both cottages overlook beautiful rural views and there are even bush walks on the doorstep, despite being so close to Canberra City. 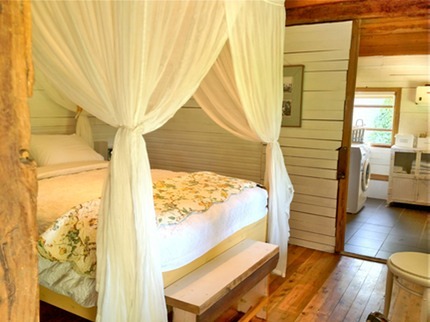 Enjoy the peace and quiet of Rosebud or Bell’s Heritage Cottages - a country retreat in the middle of the National Capital!